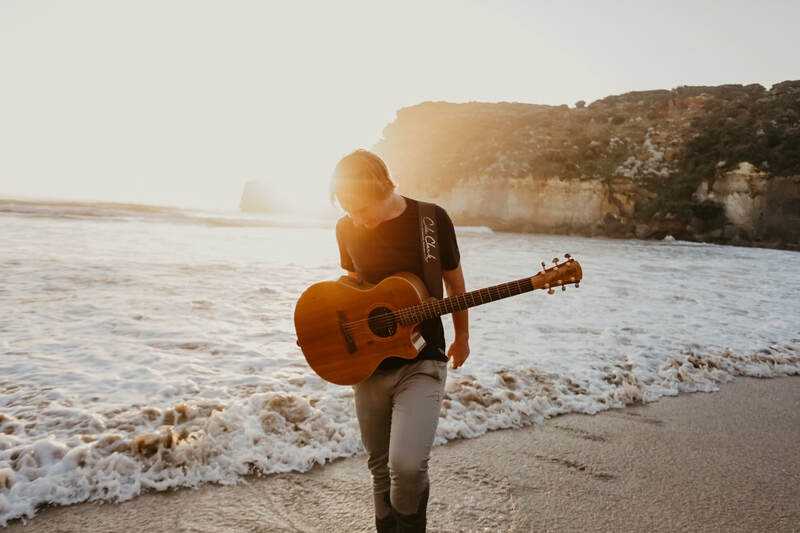 Cooper Lower is an Australian acoustic guitarist and singer/songwriter from Victoria's South West Coast. In 2018, the troubadour captured the hearts and minds of listeners throughout North America. After two years of non-stop touring and street performing across three continents, is finally bursting onto the major festival scene in Australia and Europe! "A slither of genius embodies the nomad Cooper Lower. An exquisite live performance pioneered by soaring vocal highs, sombre lows and a seamless symphony of percussive guitar and melody. Brilliant, articulate, perceptive - go see this young player!" The intuitive songs and stories of Cooper Lower have mesmerised audiences at the Melbourne International Guitar Showcase, Moomba Festival, Port Fairy Folk Festival and Tollwood Sommerfest (Munich, DE). Exquisitely articulate, perceptive and a slither of genius embodies the nomad Cooper Lower. A symphony of percussion and guitar - a musician who put the human in sounds. There are two qualities of the EP that never waver; finesse and simplicity. Cooper Lower’s third album is a beautiful display of exactly who he is as a musician: original, thought-provoking and meticulous. With heart-cracking vocals, Lower brings soul and vitality into each of these five tracks. Includes photos, biographies, reviews, logos, posters.